They're amateurs. They don't practice. They're named after a liquor store. And they've got a shot to knock off D.C. United Tuesday night. GLEN BURNIE, Md. — Zima is back. That’s one big story on Monday afternoon at Christos Discount Liquors, situated on the sliver of land between BWI Marshall Airport and Interstate 97, right on the border of Glen Burnie and Ferndale. 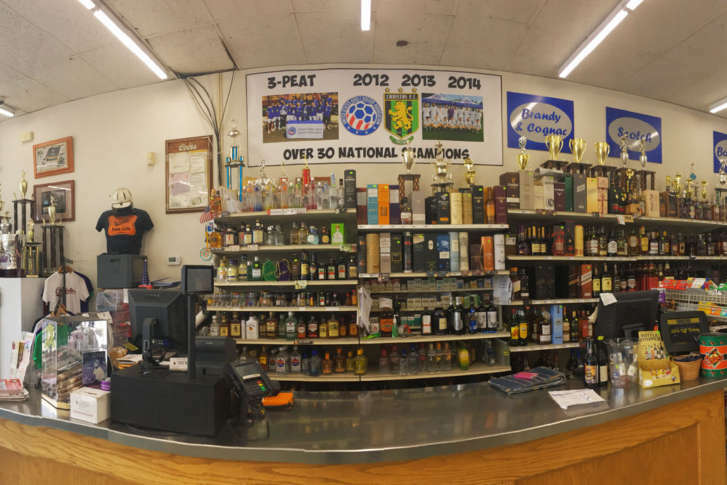 The other story is the amateur soccer team that bears the store’s name; the group of weekend players that has earned the conspicuous row of trophies and medals that line the top shelf of the north end of the store, behind the priciest liquors; the group responsible for one of the best local sports tales of the year. It’s that team, Christos FC, a group of Baltimore-area kids who grew up with but never grew out of soccer, who will play David to D.C. United’s Goliath, meeting the MLS squad in the Lamar Hunt U.S. Open Cup at the Maryland SoccerPlex Tuesday night. How they came to find themselves there is a story of friendship, community and love of the game that’s enough to inspire even the most disillusioned of sports fans. 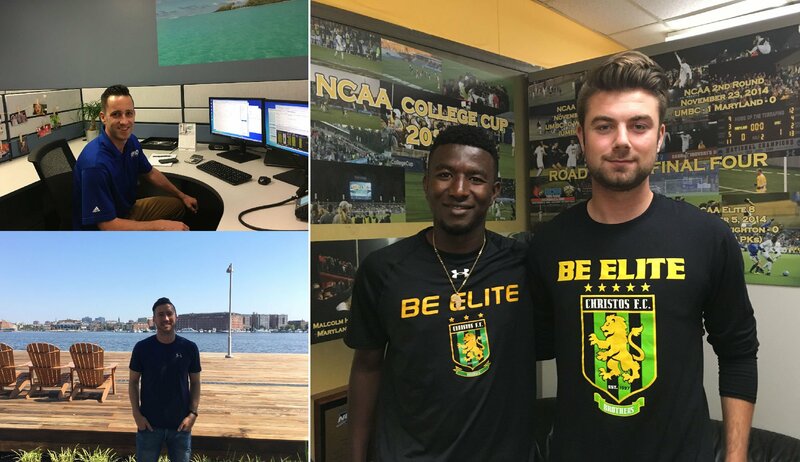 Christos FC first came into existence in 1997 when a few college players graduated and decided they wanted to keep playing competitive soccer in Maryland’s amateur circuit. 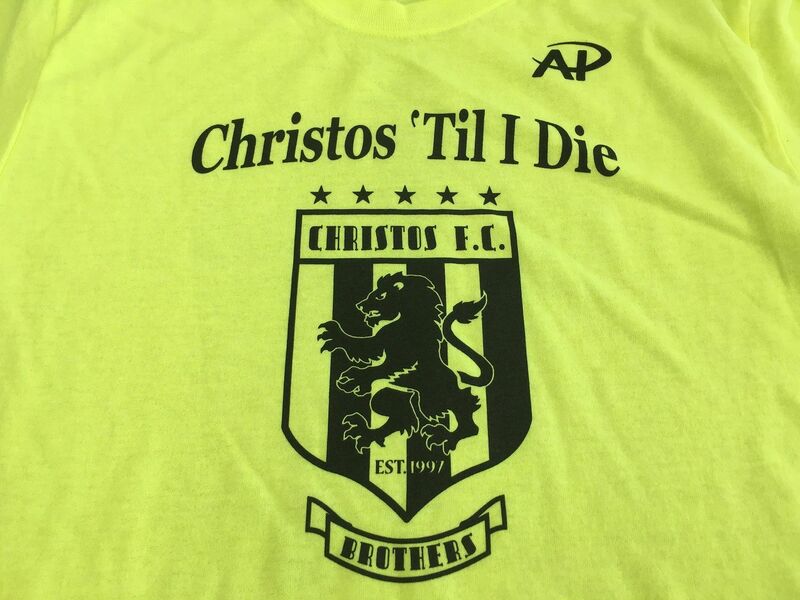 They had worked as students at Christos, so when they found themselves in need of the $1,000 entry fee to join Maryland Major Soccer League’s second division they asked the store-owning Christopoulos family if they would sponsor the club. A partnership was born, one that would spawn a number of amateur champion teams. But at the end of 2015, everything went to another level. Christos joined with the Maryland Bays, another successful local club that was struggling to keep its membership up. It was a merger that made sense and paid immediate dividends, as Christos FC won a pair of national titles, the U.S. Adult Soccer Association Amateur Cup and the Werner Fricker Open Cup. Just winning the amateur title was only good enough to get Christos FC into the preliminary qualifying rounds of the Open Cup. From there, they faced a tough test against D.C. area side Aegean Hawks, who pushed them to overtime. Pete Caringi III, the team’s leading scorer who had to coach for his job over at UMBC that day, raced to the field to try to get there in time to join in as a late sub, only to arrive to find Christos celebrating a 3-1 OT victory. In their next qualifier, Christos drew Pennsylvania’s West Chester United and eeked out a hard-fought, 1-0 victory to advance to the first official round of the Open Cup. They jumped all over Fredricksburg FC to the tune of a 3-0 victory, setting up a much more interesting test on the road against United Soccer League side Richmond Kickers, a second-tier pro team. Before facing Christos FC, Kickers players casually talked about the opportunity to get “three or four goals in the back of the net,” seemingly expecting to cruise to a win. “They think that we’re all just big, fat guys that literally just drink seven days a week and somehow we got here,” said Caringi, who was selected in the MLS SuperDraft out of college and played one year in the USL before going into coaching. The Kickers got none. But late in the game, midfielder Geaton Caltabiano scored for Christos. They snagged a 1-0 win and advanced to play Chicago FC United, a Professional Development League team, two weeks ago … in Chicago. They raised $8,000 through a GoFundMe to help pay for expenses, but ended up paying for the trip through their play. An early goal put Christos up early and they held on for another 1-0 victory. Three wins, three shutouts, and as the amateur side advancing furthest in the competition, a cool $15,000. Oh, and a date with D.C. United. Catching up with members of Christos FC isn’t as easy as simply dropping in on practice, though. Because they don’t do that. Practice, that is. As a team full of working adults, there simply isn’t any time to get everyone together. There are professional obligations and family obligations, so games are the only official events. How then, you might ask, can they be any good at playing together? “A lot of the guys played with each other in college, or against each other, and then after college we’ve all been playing with or against each other, so everyone knows each other real well,” said Chris Taylor, chatting during a break from his job at an audio/video equipment distributor in an office park in Timonium, Maryland. Many of the relationships go back even further, to high school or even middle school. Taylor, 30, attended Archbishop Curley, then Loyola Maryland, where he was captain of the men’s soccer team his junior and senior year. Taylor was with the Bays until 2015 — now he’s at center back for Christos FC on Sundays, when he’s not traveling for work. The partnership between his old club and new one made perfect sense to Taylor. “I think we were both competitive as it was, and we were all friends with each other — our coaches were best friends,” he said. Across town on the Under Armour campus, Christopher Ports, 30, is enjoying the moment. Walking the sidewalks between the company buildings, a coworker waves from across the street. “I think they’re setting up an autograph session for you later!” he shouts at Ports, jokingly. “It’s been pretty crazy to see this thing kind of snowball and take on a life of its own,” said Ports. A John Carroll and York University graduate, Ports is a sales manager for the Eastern Region for a few of Under Armour’s sports, including soccer. When he can make the games, he’s a midfielder. Both Ports and Taylor missed the game in Richmond because of work. But they were each determined to make it to Chicago. Ports was in Texas on business, but caught a flight from Austin that landed just a couple hours before kick, then rushed straight to the park to get ready. He started and played 60 minutes. Taylor traveled with the team to Chicago, but had to bail first thing the following morning, flying into Philly at 6 a.m. to make it to trade show on time. They’ve pieced it together, working around everyone’s work schedules, winning the whole way. On Tuesday, it’ll be all hands on deck. “I think this one we’ve got our full squad showing up, so it should be exciting,” said Taylor. Amateur teams have a less than storied history in this tournament. In 2004, the first year USASA teams qualified for the Open Cup, seven of the eight went down in the first round. Dallas Roma made the fourth round in 2006, beating MLS side Chivas USA before being defeated by LA Galaxy. No local qualifier has made it as far or beaten an MLS team since, and few have even had the chance. Christos won’t be sneaking up on Ben Olsen’s crew, but the matchups seem like they might wipe out some, if not all, of D.C.’s advantages. United has struggled to score this year, going scoreless in five of their last six games. They’ll likely field a starting 11 of reserves, who haven’t seen a ton of game action together. And the crowd could turn this “home” game into anything but. That might be an understatement. As of Monday night, more than 6,000 tickets had been sold for a 6,500-person capacity venue. There are at least five buses of Christos FC supporters coming from the Baltimore area, including one full of Ports’ coworkers at Under Armour. Christos FC will hope to lean on that support and their familiarity with one another to perhaps pull their biggest upset of all. “Chemistry-wise, I think we’re better than any team we face,” said Caringi. But as confident as the team is, they’re realistic about what they’re up against. Why would they change anything now? Everything has worked out just fine so far for Christos FC. And the worst that can happen Tuesday night is that they walk away with the story they’ll have for the rest of their lives.